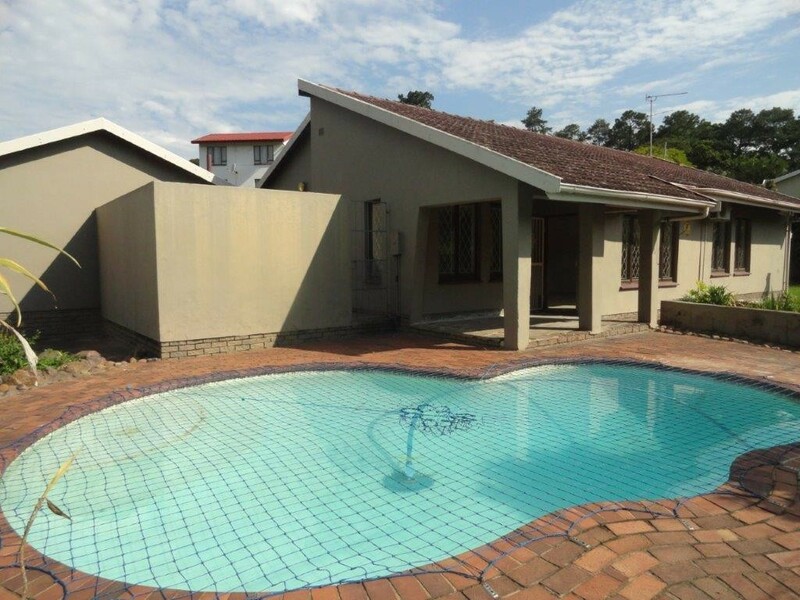 Sign up and receive Property Email Alerts of Houses to let in Northdene, Queensburgh. Neat and clean 3 bedroom family home with built in cupboards, 2 bathrooms (Shower en-suite), walk in dress room in the main bedroom with air con and ceiling fan. Tiled lounge with down lights and air con, tiled dining room & pine kitchen. Double lock up garage with a large awning / carport. Staff accommodation with toilet and shower. Walled garden with swimming pool & safety net, steel palisade front with electronic gate. Sign-up and receive Property Email Alerts of Houses to let in Northdene, Queensburgh.